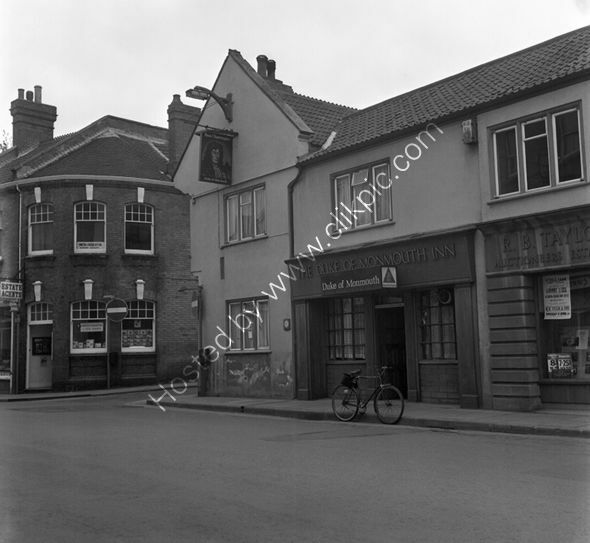 The Duke Of Monmouth, Bridgwater in 1973. Researched in 2018 and still going strong as The Duke. The auctioneers next door are J B Taylor and have a poster advertising the sale of farming stock on 4th April 1974. They also offer a deposit account with interest of 7.25% net of tax - unheard of in 2019. The rounded corner building to the left is Smith & Houghton, Estate Agents.